The pace of sales of newly built, single-family homes increased 11.6% in December to a seasonally adjusted annual rate of 481,000 homes, according to newly released data from the U.S. Department of Housing and Urban Development and the U.S. Census Bureau. This is the highest monthly sales rate since June of 2008. After a slow start to the year, new home sales for 2014 totaled 435,000, a slight increase over 2013. The inventory of new homes for sale rose to 219,000 in December, a 5.5-months’ supply at the current sales pace. For December, completed, ready-to-occupy single-family homes for sale came in at 61,000. 118,000 homes in inventory were under construction and 39,000 had not yet begun construction. 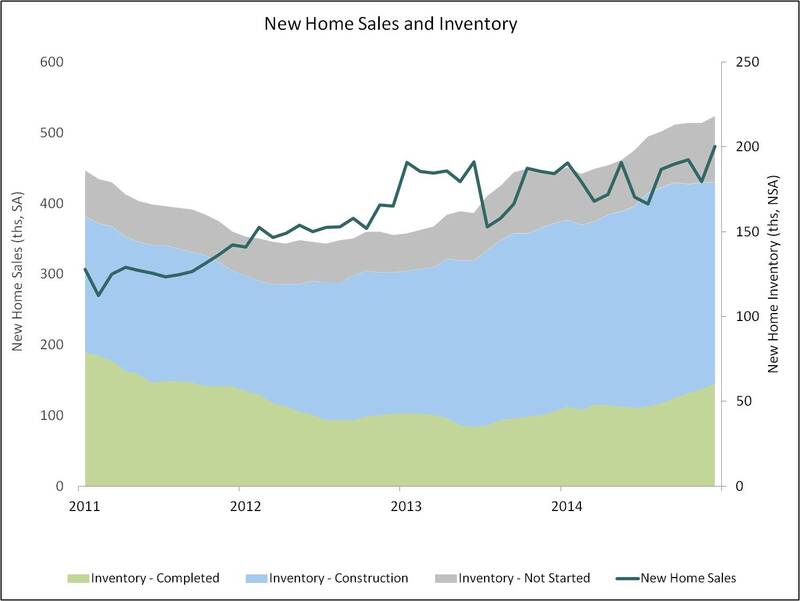 Inventory has been rising with home builder confidence as production increases to meet rising demand. NAHB is expecting growth in single-family construction to continue in 2015. Regionally, new home sales rose 53.6% in the Northeast, 17.7% in the South and 3.1% in the West. Sales dropped 11.5% in the Midwest. Very informative blog. Thanks for sharing it. We are also deal in home sale in affordable price.